Join us for First Friday on August 3rd from 6 - 9pm for the opening of the Member Show, the 2018 Brandon Fellows Final Show, and the Summer Art Camp Showcase. The Member Show will display a wide variety of mediums and themes in artwork created by supporting members of the Art Center. Also in the Main Gallery, view work made by Brandon Fellows Charis Jackson Barrios, Olivia Perreault, and Megan Hueble in the Brandon Fellows Final Show. Upstairs in the Gray Loft, see the art made by our summer camp participants in the Summer Camp Showcase. Visit the Art School Open House to meet our art instructors and sign up for your next class or workshop with a special discount! 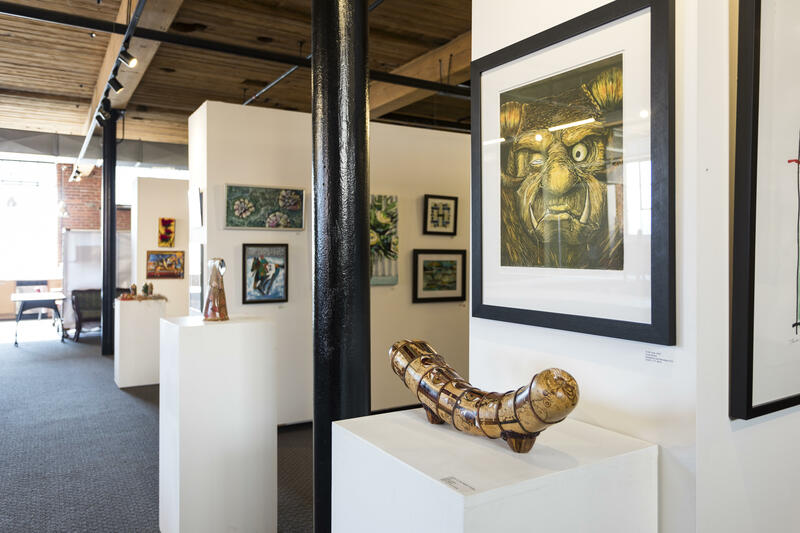 The Studio Artists will be open to the public and you can view even more local artwork in the Community Gallery. Bring your little artists to the kid's free ARTivity led by volunteers from The Greenville Journal.